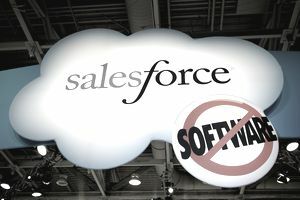 Salesforce.com is a provider of “SAaS” products, software as a service, that resides in the “cloud” and is available from anywhere via internet access. Salesforce.com is best known as the leader in customer relationship management (CRM) software. However, they also have other platforms to help manage the Marketing and Service aspects of business too. They were one of the first to pioneer this technology and today are delivering the next generation of computing technologies that will help companies change the way they market, sell, and service their product offerings. Salesforce.com has become one of the Top 10 among Enterprise Software companies and are the fastest growing in this category. Forbes recognized them as the World’s Most Innovative Company and Fortune named them number seven among the100 Best Companies to Work For in 2014. They have more than 100,000 customers on their customer relationship management (CRM) platform. Their client base comes from a variety of industries, such as financial services, telecommunications, manufacturing, and entertainment. The majority of its’ revenue is generated in the United States, with about 70 percent coming from the Americas, 20 percent from Europe, and about 10% from the Asia/Pacific. Competitors include Oracle, SAP, Microsoft, and others. Intern salaries range from $16 to $42 per hour, with Software Engineers ranging from $30 to $42. Interns say it is a vibrant, fast-paced culture with smart, fun, aggressive colleagues. They also cite the fact that management is focused on staying current with the latest technologies becoming a leader in them. The benefits and incentives are good and the culture is purported to be hip and trendy. There is the ability to chart your own course and to sometimes even create the job you want. Thirty-seven percent of Salesforce.com interns say they found their position through a campus recruiter, 23 percent by applying online, and 23 percent through employee referral. The interview process normally takes 4 to 6 weeks with the first round conducted via email and phone prior to a face-to-face taking place. Questions are generally experiential in nature and relate to how your educational and practical experience could apply to an internship at Salesforce.com. Interns rated the difficulty of the intern interview process as a 3.0 on a scale of 5.0. San Francisco, CA; San Mateo, CA; Chicago, IL; New York, NY. Researching prospective clients, adding valuable data to new and existing accounts, acquiring high-level contacts by leveraging third-party databases, and building & monitoring social networking sites to assist the EBR Sales Development Team. Interested candidates can complete the online form on the Salesforce.com website and then submit a resume and cover letter.